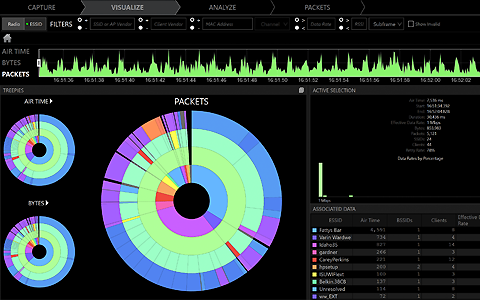 By graphing every access point within reach and pairing it with the raw RF information provided by Wi-Spy, Chanalyzer provides you with all the information you need to monitor and manage saturated channels. The built-in recording feature even allows you to track the most frustrating WiFi problem – intermittent interference – and come up with a plan to eliminate it for good. Identifying gaps in your coverage area is paramount, whether you are planning out a network the first time or testing existing coverage to maintain reliability. 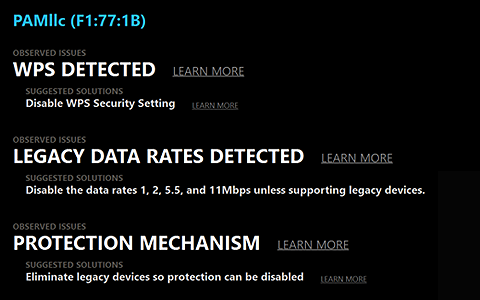 Chanalyzer quickly reads the wireless environment, displays every SSID within range, and reports the signal strength in real time so you can ensure quality coverage for your users. 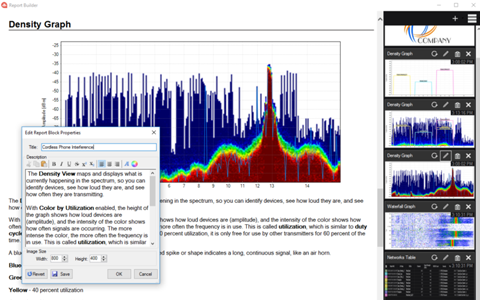 Chanalyzer Essential includes Wi-Spy DBx, a powerful dual-band spectrum analyzer that measures WiFi and non-WiFi activity in both the 2.4 GHz and 5 GHz bands. 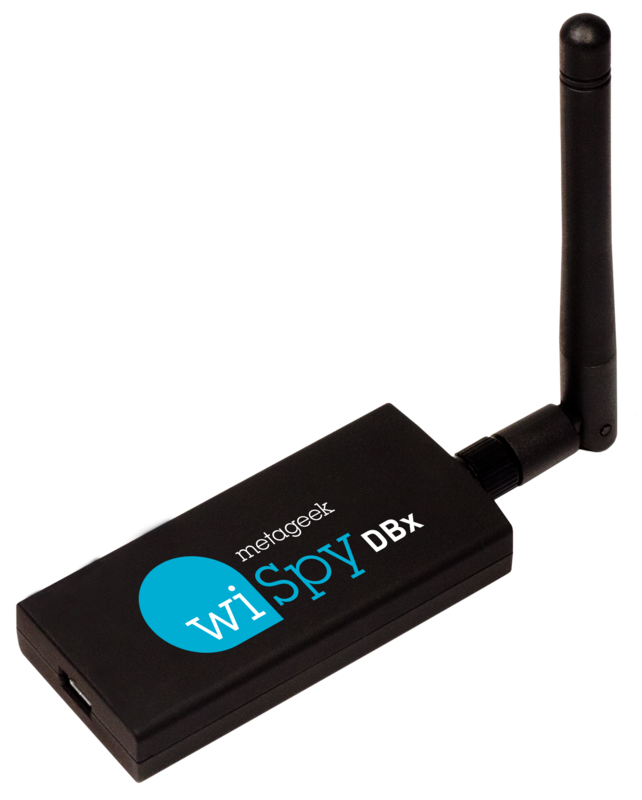 Chanalyzer utilizes radio frequency data from Wi-Spy DBx to provide you with a real-time visual overview of your WiFi network environment. Utilizing Report Builder – included in Chanalyzer Essential – you can add a snapshot of any image or table with just a few clicks. Then add your own pictures and descriptions (or just use the defaults) to provide context. After you’re done, export to PDF to create a visually compelling report of dead spots, saturation, and rogue APs that your boss or clients can understand. Once you're able to see interference, the next step is to eliminate it. Unlike the omnidirectional WiFi antenna in your laptop or wireless adapter, our Device Finder 2.4 GHz Directional Antenna is highly focused to pinpoint non-WiFi sources of interference. 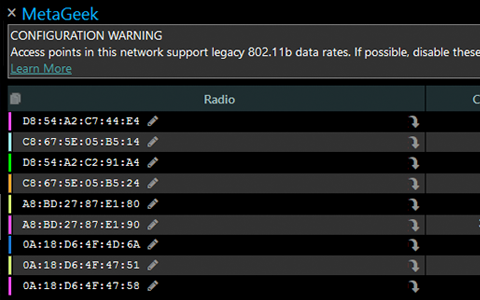 This allows you to actively seek out and remove loud transmitters from your WiFi environment. Eye P.A. 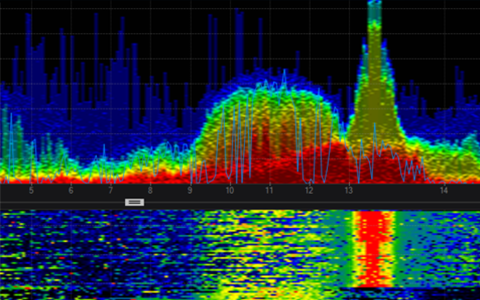 makes it easy to capture 802.11 a/b/g/n packets in both the 2.4 GHz and 5 GHz bands. You can collect packets in Eye P.A. 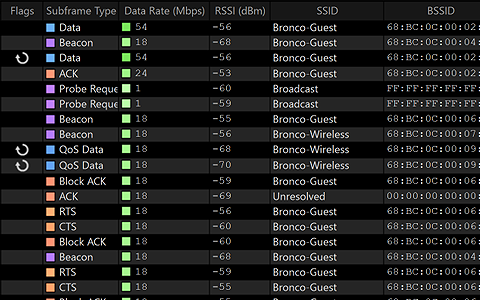 without launching another program, using many standard WiFi adapters or Riverbed's AirPcap Nx.